Tom Wachendorfer, Jr. started a charter operation with a single aircraft at the Addison airport in 1987. 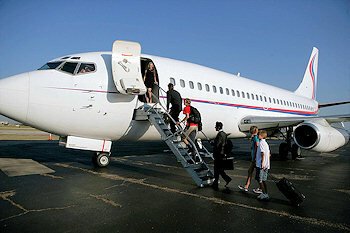 Ameristar Jet Charter, Inc., a part 135 air taxi operation, was incorporated in 1988, and Wachendorfer was the company’s first pilot and mechanic. In 1999, Ameristar Air Cargo, Inc., a part 121 airline, was formed. Both companies first focused on cargo operations and expanded into passenger operations. We have bases near Dallas, Texas, and Detroit, Michigan. Tom Wachendorfer is the sole owner of Ameristar Jet Charter, Inc., and Ameristar Air Cargo, Inc., dba Ameristar Charters. Beyond our charter expertise, Ameristar aircraft have appeared in print ads, music videos, television, and movies. 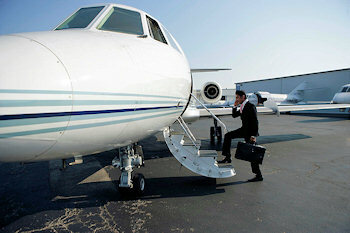 You don’t need a jet card or membership to travel in style and avoid commercial security and limited schedules. Collegiate and professional sports teams, musicians, and event planners count on Ameristar to make getting there as memorable as being there. 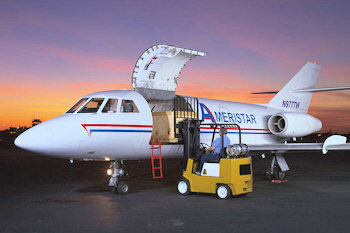 When overnight service isn’t fast enough, count on Ameristar to deliver your just-in-time cargo just-in-time with our fleet of Falcon 20 and DC9* freighter aircraft. *Operated by Ameristar Air Cargo, Inc.